Duchy College, part of the Cornwall College Group is based in Cambourne in Cambridgeshire and caters for a range of student needs, from studying for A-levels and NVQs to degree courses and diplomas. One of the benefits of being part of a group of colleges, is that Duchy College can offer its students exciting options for the places that they can learn in, alongside working with employers who ensure that courses are relevant to current industry standards. 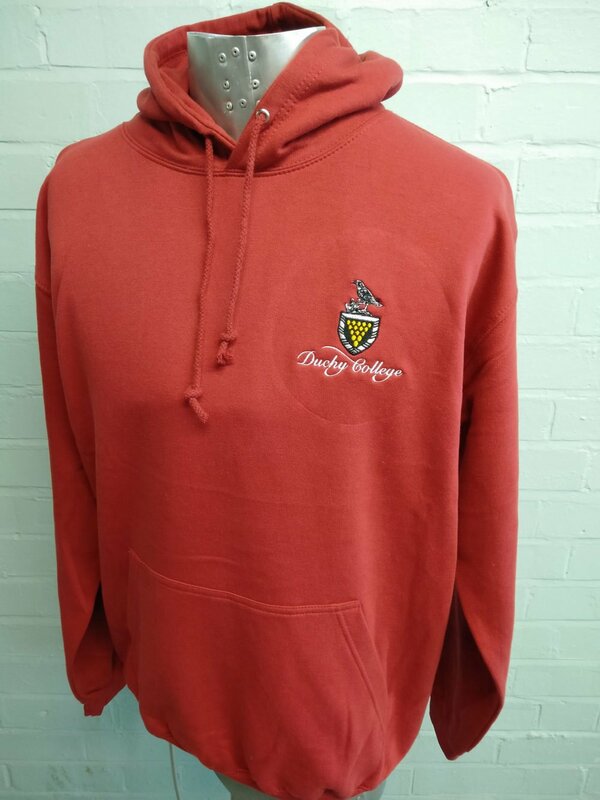 For its leavers hoodies in 2016, Duchy College’s main colour reflected the vibrancy of the college; created in a bright red with a bold white print on the back. 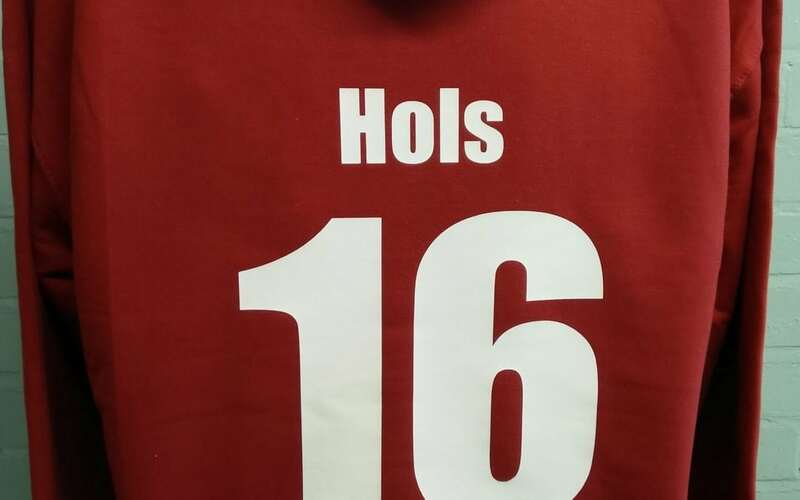 Individual student names and the number 16 were printed on the reverse of the hoodie, whilst the front features the college’s emblem neatly embroidered to the left-hand side.